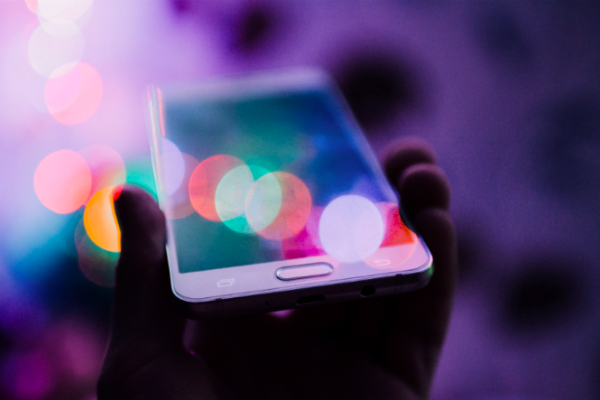 By 2025 the mobile health (mHealth) app market will reach £86.2bn ($111.8bn), with the growing need to reduce waiting times and enhance both patient and healthcare professional experience being a key driver in this growth. This technology sits at the heart of a new era in medicine, in which pharma is moving away from around the pill solutions to a more innovative approach, uniting digital innovations and connected devices to deliver more individualised care for patients. These tools are helping patients manage their health themselves and giving doctors greater ability to monitor their patients outside the four walls of the hospital. 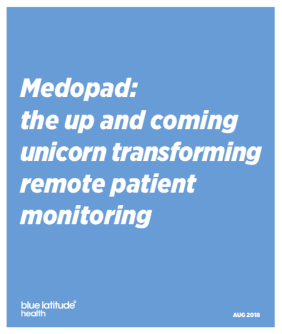 However, while most of this technology is focused on a specific therapy area or general wellness - there is one organisation providing bespoke patient monitoring across multiple disease states and geographies – Medopad. The company has developed a platform for creating modular apps which can be personalised across numerous patient cohorts, using a combination of artificial intelligence, rich data analysis and a strong understanding of user experience. The technology is being used by healthcare systems, governments, pharmaceutical companies and insurers alike. An organisation can choose from more than 100 data-capture modules, including 6-minute walking tests, questionnaires, medicine and symptom trackers, and AI video capture. As the technology can be linked to a growing number of wearable devices, the app can retain and monitor data on the patients’ own biology, from blood to glucose tests. Fans of the platform include UK Prime Minister Theresa May and Apple, which has backed the model as part of its new focus on healthcare, selecting Medopad as a partner in remote patient monitoring and healthcare vertical. Blue Latitude Health speaks to Martha Carruthers Head of Pharma Partnerships at Medopad (pictured top left) to find out how the technology is helping patients with rare and complex diseases. Healthcare is becoming more precise, and with the rise of personalised medicines, customer engagements will need to compliment this bespoke approach, particularly if companies want to enhance adherence. While the consumer world has been personalising services for a number of years, healthcare is yet to catch up. However, modular apps such as those developed by Medopad provide a stepping stone to a more tailored service. Medopad has begun its journey by focusing on rare and complex diseases and is attempting to crack the challenges around patients with multimorbidities. These patients have historically been underserved by healthcare services, which treat their different diseases separately, struggling to connect the different symptoms and drugs in one treatment plan. The company works with patient groups, key opinion leaders and hospitals to learn what clinicians and patients need from a remote patient monitoring service. Its in-house clinical team develops rich insight into the critical information required by both stakeholders to ensure the apps are both user-friendly and fit for purpose. The insight provides the foundation for the client’s app design. Only the modules patients and clinicians need and want will make it into the final iteration. “The beauty of the Medopad system is that it allows you to address the needs across the different challenges and disease states. It really allows the multi-functional aspect of the application to fit the needs of the patient. Instead of having ten different apps on your phone, you have one,” explains Martha.